I'm just stopping in with a couple Paper Smooches card! (As you can see, I'm still plugging away at my holiday cards:) This first card uses the Holly dies and one of the new sentiments from the set Holiday Cheer. 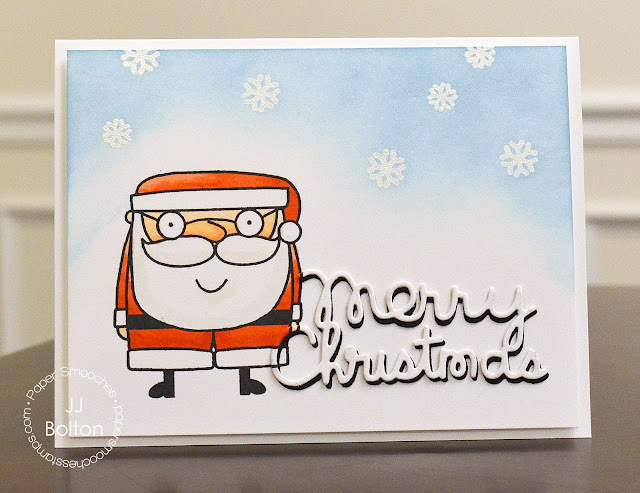 This card uses a template that I use often, white panel over a colorful partial background. I used one of the Borders 1 dies to get that curve on the white panel. My next card uses the beautiful Merry Christmas die. I did a little stacked stamping but this time, I layered a white die cut over a black die cut. Over the top of the card, I stamped and heat embossed a bunch of snowflakes (from the Cool Dudes set) and blended some Distress Ink over it. Thanks for stopping by today! I hope you are having a great weekend! JJ! Love them both...so fun! So much pretty coloring, JJ. 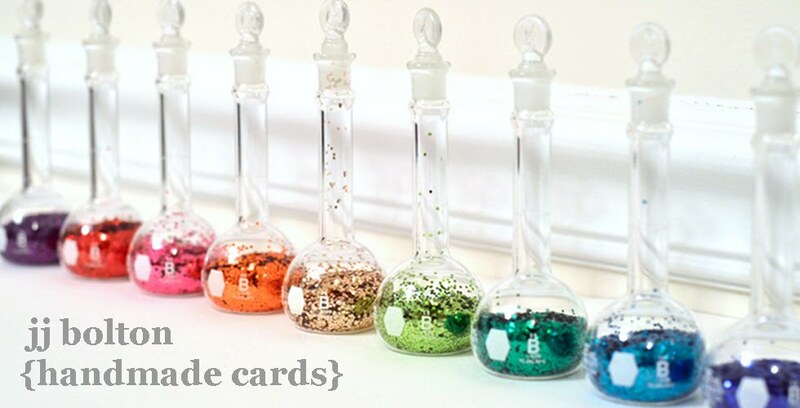 Fantastic cards! Oh wow...these are perfection! 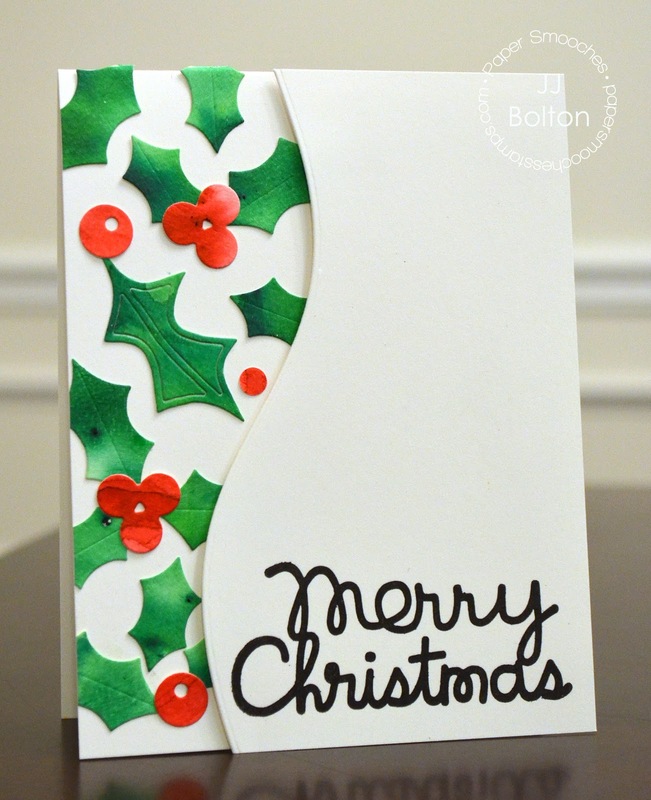 Love those die cut holly leaves and how fun is that stacked sentiment with a pinch of the Santa image on it! LOVE THEM!! Love your holly card, JJ - I feel a CASE coming on! 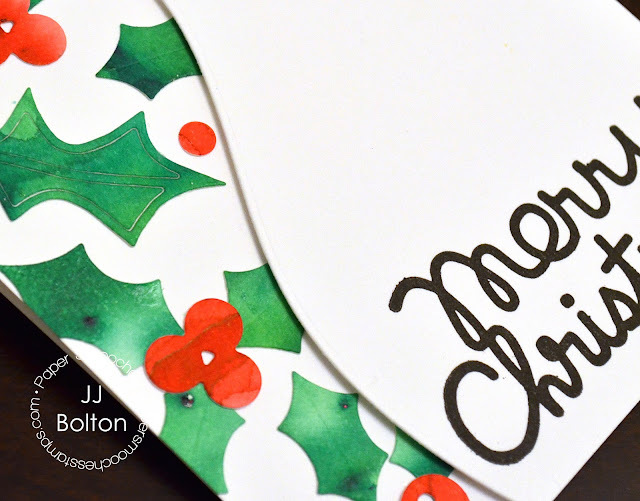 I love how you water colored the holly leaves on your first card, JJ...so beautiful! Great idea to layer your die cut sentiment on your 2nd card with white over black cardstock...stunning effect! The holly card is so, so beautiful - they are all just precious - but the holly - oh my! Luscious! Love them, JJ! Beautiful! Such beautiful cards. Have a great day. The Santa looks so happy and jolly.